It was another extremely close race this week. You voted, and Khan Creations' beautiful treasury, Vintage Flowers is the winner! 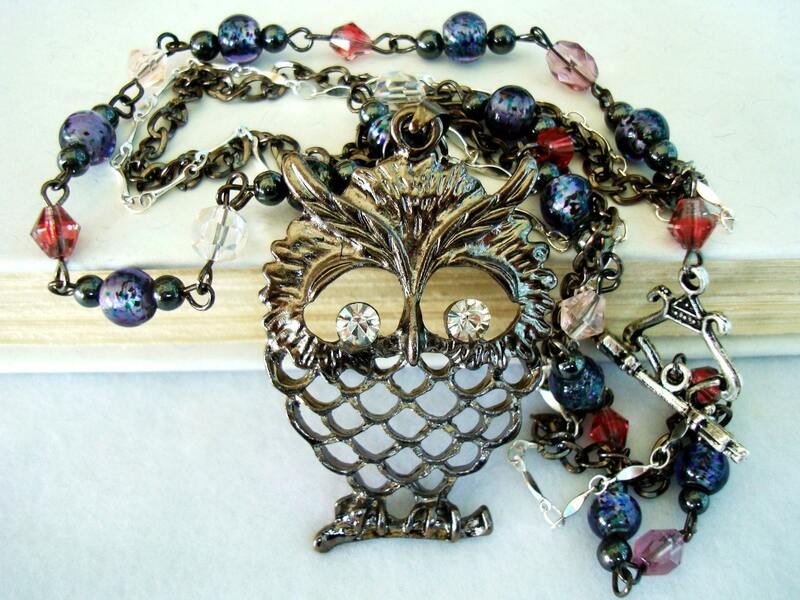 To reward Aisha, shop owner of Khan Creations, we will all feature her item, Owl Wrapped in Romantic Chains Necklace. The theme this week is up to you! Check back Wednesday for rules & to post your link. Next week the winner could be you!